The series is a follow-up to the successful launch of “Billboard News,” the daily news video series from The Hollywood Reporter’s music-focused sister site Billboard that debuted in November. 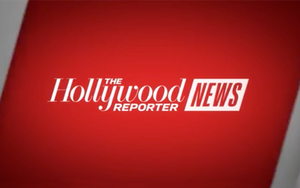 Instead of music news stories, “The Hollywood Reporter News” will cover entertainment topics, such as celebrities, film premieres, awards shows, film festivals, Hollywood style trends and breaking news. “Billboard News” received 25 million views in the first seven weeks after its launch. According to the company, the series is currently on track to hit 250 million video views in its first year. “The Hollywood Reporter News” uses the same format as "Billboard News," with videos that range from 60 seconds to 90 seconds long. About four to five are produced in a day and each video focuses on a specific news story. The videos are distributed on THR.com, Facebook and “The Hollywood Reporter News” YouTube Channel. American Airlines has signed on as the series' launch partner. A Wednesday episode covered the surprise appearance of former “Daily Show” host Jon Stewart on “The Late Show with Stephen Colbert” on Tuesday night, where he showed up pretending to be President Donald Trump. Last year, The Hollywood Reporter pushed into video with the creation of a Facebook Live team. The company plans to produce over 1,000 Facebook Live broadcasts this year. Daily video series produced by publishers are on the rise, with many tapping into opportunities for sponsorships and pre-roll video ad dollars.